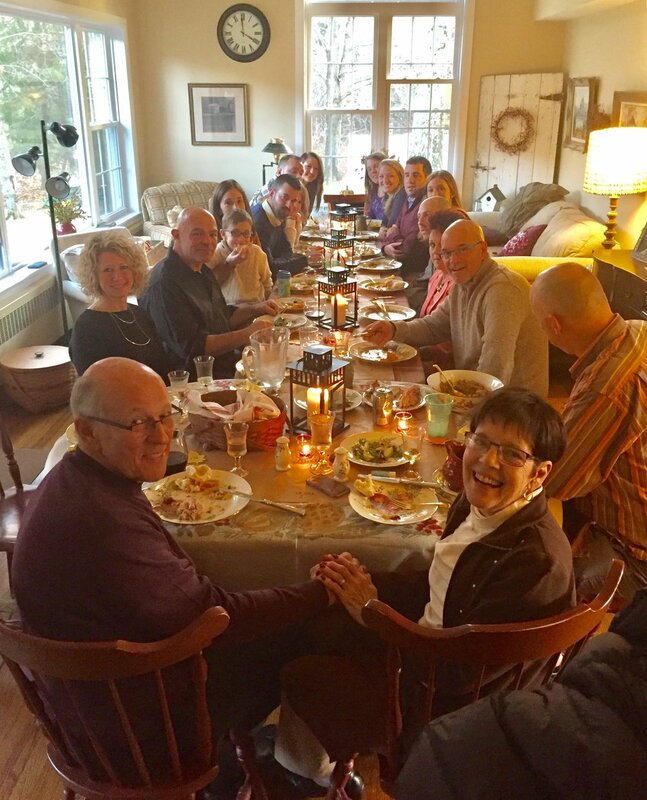 Thanksgiving may be the most meaningful holiday for the LaBonne Family. It is a time when we purposely pause and allow everyone at the table to reflect on what they are most grateful for. The world may seem to be full of turmoil but we can always find something to be thankful about. Call today to reserve your premium fresh local Gozzi Turkeys from Guilford, CT! We also have Plainville and Bell and Evans turkeys available. In addition to Turkeys you can order frozen capons, ducks, geese and cornish hens. We suggest at least 1.5lbs per person (to account for cooking shrink, bones, etc) or up to 2lbs per person if you have some big eaters in the family or want leftovers. Choose a 4lb increment below and call today to get your name on the list. When in doubt, size up. Did you know that we cook Thanksgiving dinner for hundreds of families every year? If you need a hand with food for 10 or more people then check out our Complete Holiday Turkey Dinner menu below.